Most people need the same things from their community: to have a home, access to food, to be safe, to belong and be respected. But, despite the work we do, not everyone has these needs met. Our local statistics show a concerning decline in the overall wellbeing of our community. 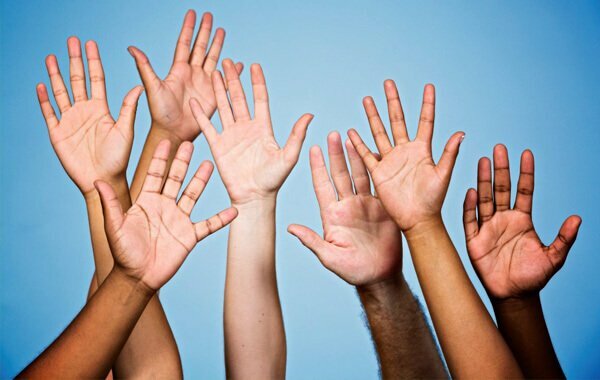 Hands Up Mallee is an initiative to make long-term social change that will improve the quality of people’s lives and overall well-being of our community. This initiative is bringing together diverse views and ideas from across our community to identify the social issues that have the greatest impact on our long-term wellbeing and determine how best to address them. It will coordinate effort and resources across all sectors including non-profits, social services, business, communities, philanthropics and Governments to improve the systems that serve us. It will require advocating for State and Federal alignment of policies and resources for the large-scale social change we need. Hands Up Mallee’s success depends on the meaningful involvement of people in our community who are most affected by the issues. Their experience is critical to understanding the problems, their root causes and creating solutions that work for them. There are no quick fixes, and this is long term work. It requires changing the culture around the way we think and work together, how we make decisions about programs, policies, resourcing and ultimately how the system we are all part of serves our community. Changing the system will take years. We will try new ideas, succeed, fail, learn and adapt as we grow. Fortunately, we can build on our already existing partnerships and successes which put’s us ahead of many other communities.